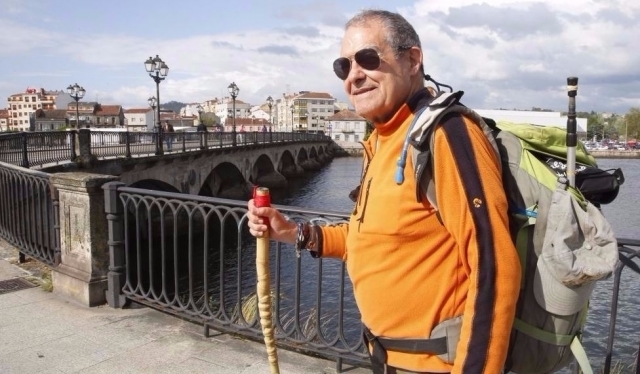 Pedro Antonio Peña, "which makes the Way, hooks"
Pedro Antonio Peña, this veteran of the Camino de Santiago, was recently Way Live chat with different issues related to the Jacobean routes. Our last questions with Pedro Antonio focused on the impact that the road can have on a person, and that this expert advice walker could offer young people or those who had not lived this experience. "While I can walk, keep walking," he says. Live from the Road want to thank Pedro Antonio Peña time spent in our interview and wish you luck on your next adventure; the next, from Salamanca to Santiago in September, featured on this social network. News Pedro Antonio Peña for the recognition of new routes: "I find it very interesting"
Pedro Antonio Peña select your preferred route "for me is the Camino Primitivo"
News Pedro Antonio Peña select your preferred route "for me is the Camino Primitivo"